Shops need customers, but first it’s necessary to attract them. 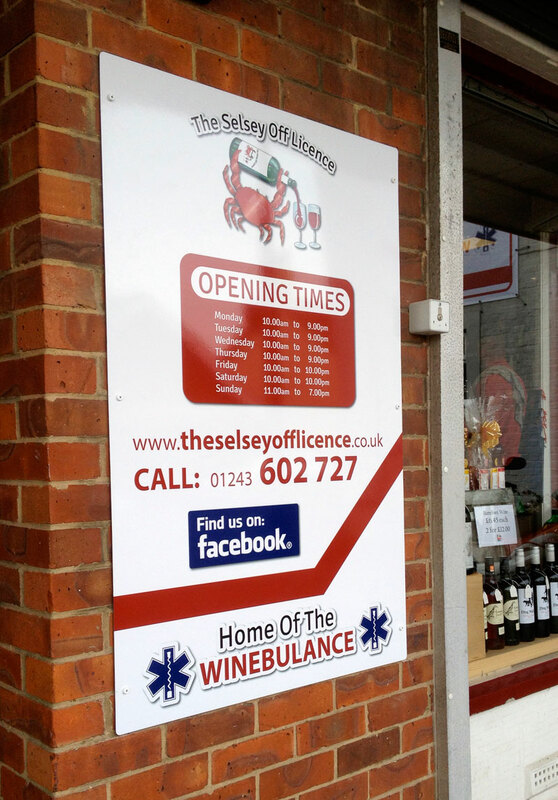 The Selsey Off Licence has accomplished just that and turned heads even further afield too, with its brilliantly conceived and colourfully executed home delivery and events service. 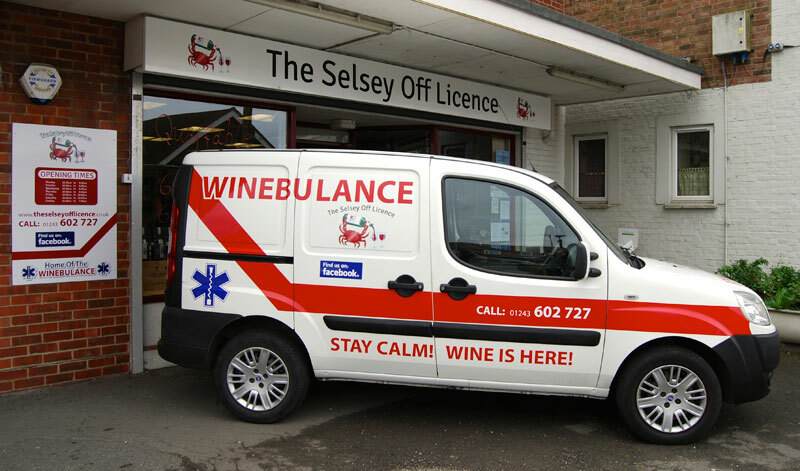 Home delivery is nothing new, -but The Selsey Off Licence’s Winebulance is. Thanks to a great looking graphics package from Les Hilton and Phil White at XL Graphics, the Winebulance has become much more than a winning business initiative, it’s also a celebrity in its own right. 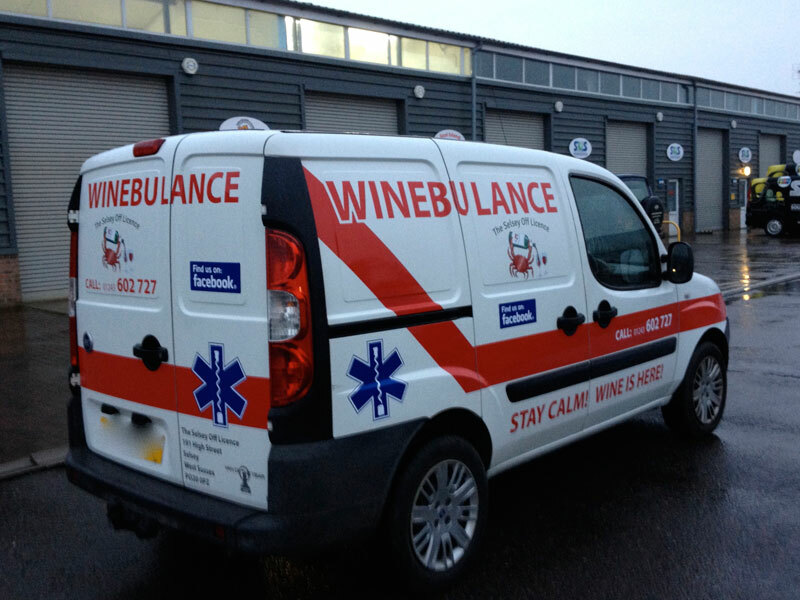 ‘Stay Calm – Wine Is Here’, proclaims the Winebulance livery. The health benefits of a convivial glass or two are understood, but when supplies are low on a hot afternoon and the meat is sizzling on a barbecue, that’s a different story and the vehicle’s mission in such emergencies is plain. The livery’s digital elements are rendered in printed Metamark MD5 and the solid coloured components are Metamark M7, proving once again that a digital/legacy materials hybrid design has much to offer. 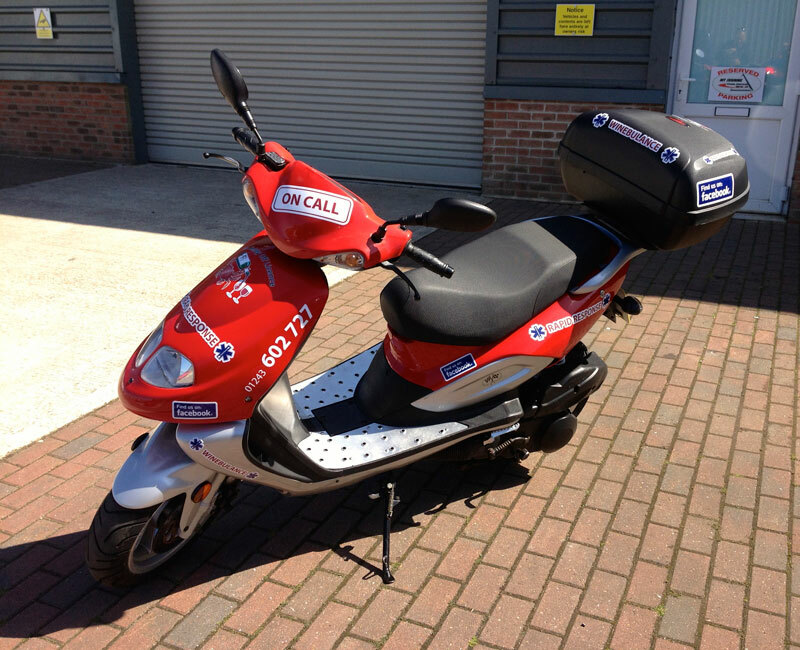 The fleet has grown and now includes a rapid response vehicle of the two-wheeled variety with moulded plastic fairings, which is known to present a host of difficulties for applied vinyl graphics, including adhesive breakdown and excessive shrinkage. XL Graphics found the answer once again, in the Metamark swatch. Metamark MDP-H bonds reliably with a-polar surfaces and has an MD-Class print receptive face-film too. 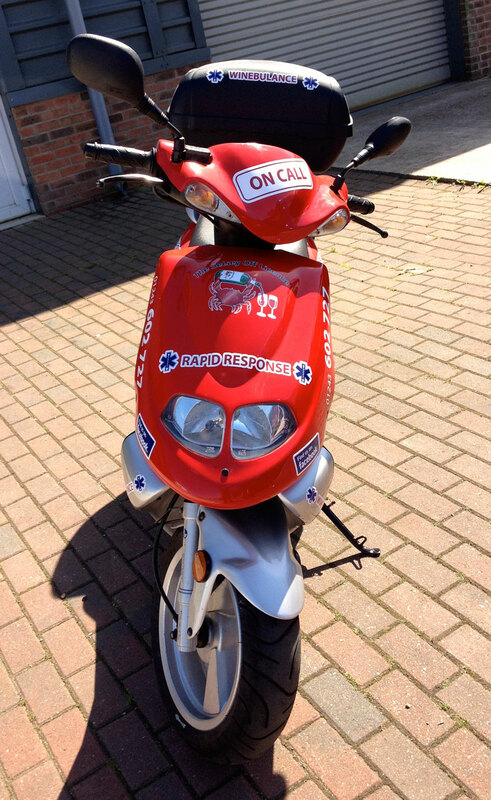 The rapid response vehicle has attended many emergencies since its tyres first touched tarmac, and has even been known to detour, picking up supplementary emergency aid such as Indian takeaways! XL Graphics has since used Metamark MD-FL400 front-lit banner materials for the events the Winebulance attends and MetaFlex for personalised wearables for the vehicle’s growing fan-base. As for The Selsey Off Licence, it’s become a licensor too. 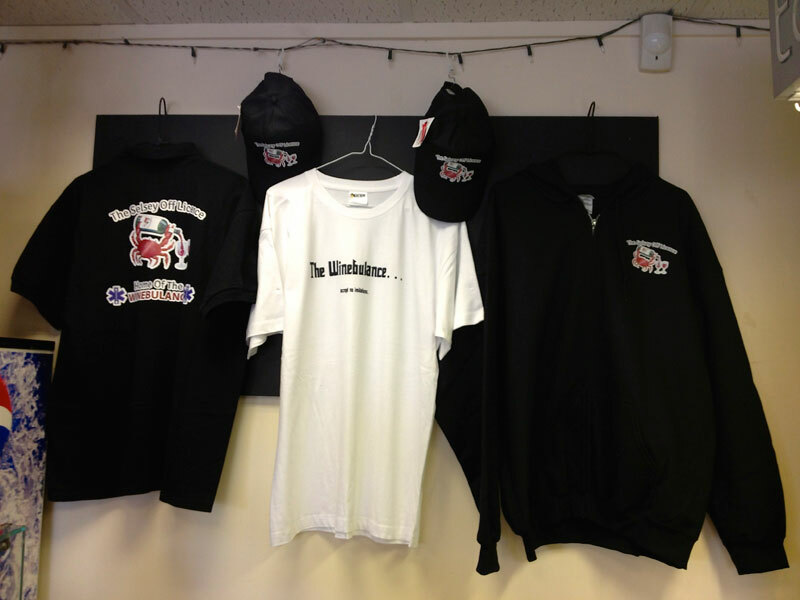 Andy Short is in discussions with other businesses wanting to use the branding. Cheers! NextA tropical beach in Woking! It’s print Jim, but not as we know it!